Right into the Cataloochee Valley in North Carolina. We went to see Elk, and we were not disappointed. Rushing Creek with Crystal clear water flowed through the Cataloochee. So breathtakingly beautiful. This Elk seemed to want a portion of our picnic lunch as he strutted past. I should have edited this picture.... *sigh* Maybe I will. The park ranger's were very friendly and let the boys hold a set of Elk Antlers! They are up to 50 pounds a set! 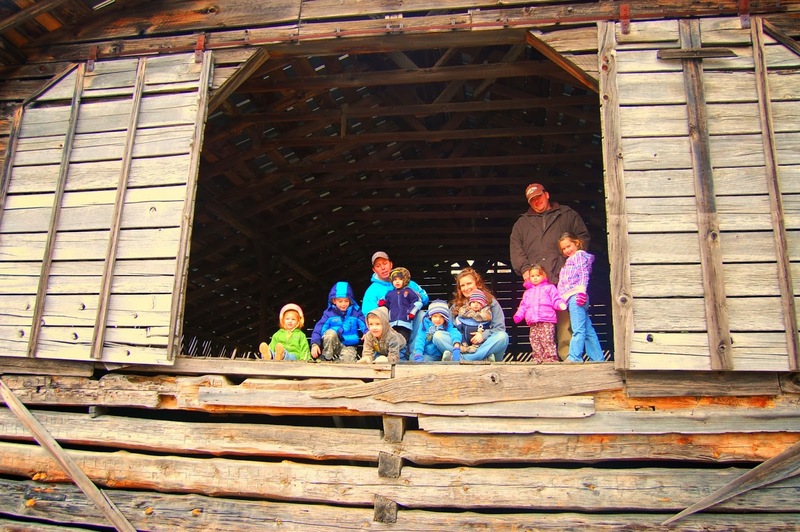 An old barn offered a picturesque moment as we tried to corral everyone and have them all look in the same direction! The Little's were all raring to go on their bicycles up the gravel road. The boys were quite close. Looks like Nathan is scheming up a plan of attack.